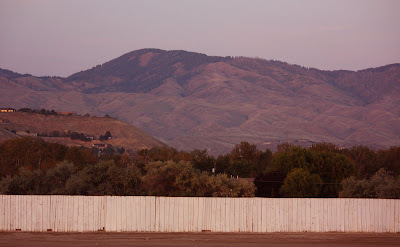 Strange pinkish-orange colors tinted the Boise Front at sunset last night. This is beautiful enlarged. I'm fascinated by the house on the extreme left of the photograph. It's all lit up. I wonder if that's reflected light from the sunset or a house with every room lighted and in use. I say reflection of the sun in on all the glass. super shot.